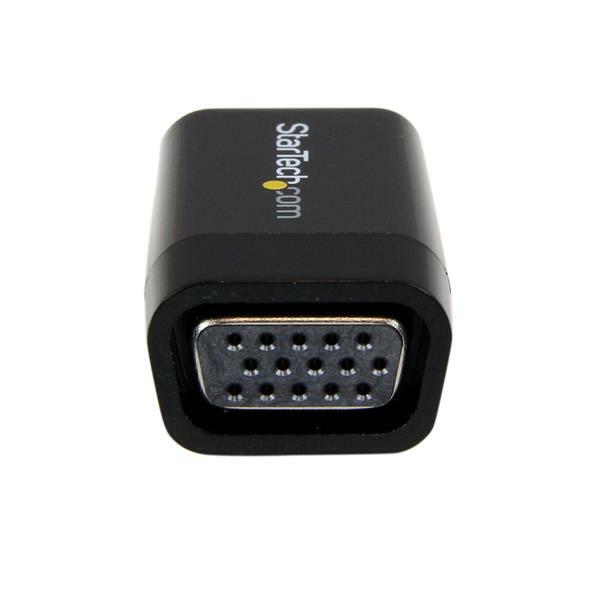 The HD2VGAMICRO HDMI to VGA converter lets you connect an HDMI output from your, Chromebook, Ultrabook or laptop computer to a VGA monitor or projector. 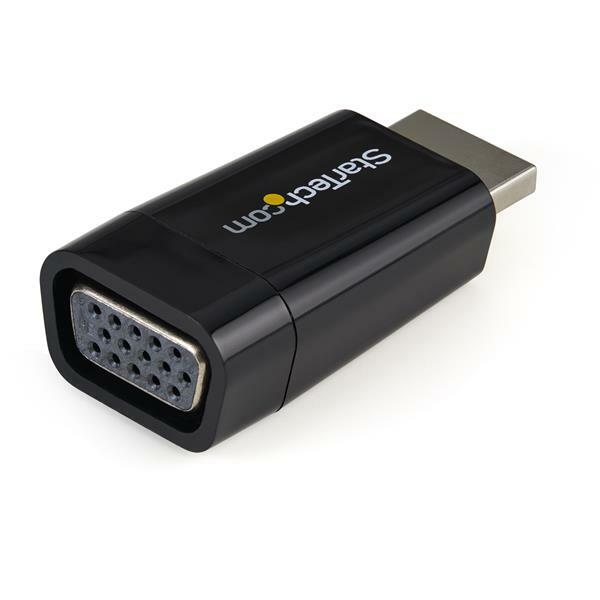 To ensure compatibility with your Samsung® Chromebook the HD2VGAMICRO has been extensively tested in wide range of applications, making the video adapter an ideal converter to connect your Chromebook to any VGA display. With no external power adapter required, and a small form factor design, this portable HDMI to VGA adapter is a great accessory to have on-hand in your laptop carrying case. Plus, this easy-to-use converter supports plug-and-play installation, which speeds up the installation time and eliminates the worry of having driver software ready on any computer. The converter delivers maximum video quality, with support for resolutions up to 1920x1200/1080p -- a convenient solution for boosting productivity by extending your computer's desktop onto a secondary monitor. 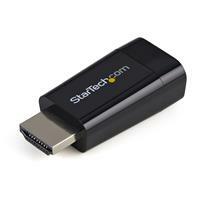 The HD2VGAMICRO is backed by a StarTech.com 3-year warranty and free lifetime technical support.